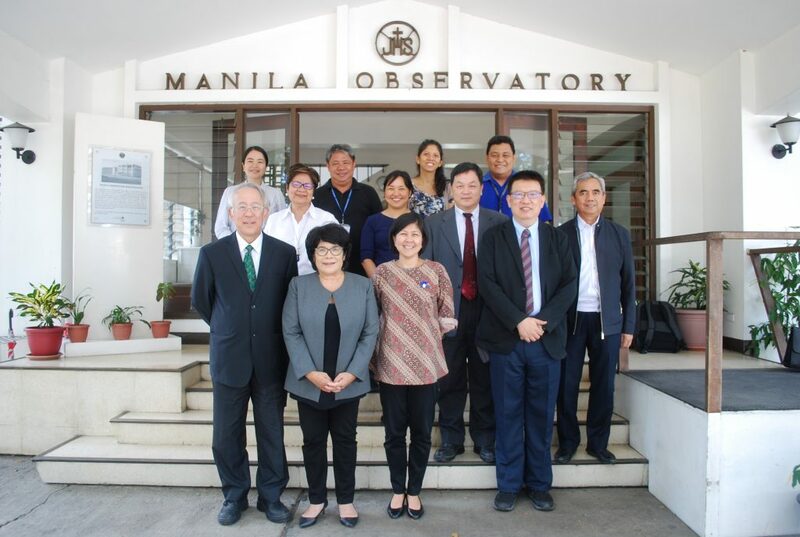 The Manila Observatory, represented by Executive Director Gemma Narisma, PhD signed a Memorandum of Agreement (MOA) and a Memorandum of Cooperation (MOC) for two initiatives for risk and resilience last 19 October 2018 at the Manila Observatory. Dr. Hongey Chen, Director of the National Science and Technology Center for Disaster Reduction (NCDR) in Taiwan along with Ms. Ma. Antonia Yulo-Loyzaga, President of the National Resilience Council were present in the signing of agreements. The MOA is between MO, NRC, Asia Pacific Economic Cooperation Emergency Preparedness Capacity Building Center, and SM Prime Corporation to foster knowledge sharing, capacity building, advocacy, coordination, and cooperation for disaster recovery and resilience. For the MOC, Iloilo City along with MO, NRC, and the NCDR will strengthen the joint efforts in improving regional resilience against natural hazards.